Favorite Quote: The world is changed by your example, not by your opinion.-Paulo Coelho. Always laying it down Mr. Coelho! Favorite Home Decor: Vanity as a nightstand -via Hunted Interior. 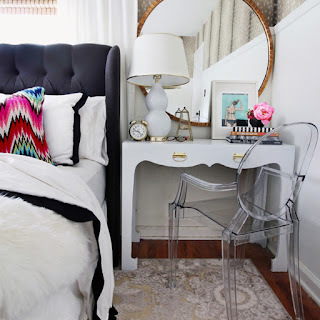 I currently have a regular 2-drawer nightstand, but this vanity remix is in my future. It will be nice to have somewhere to sit and apply my makeup. Favorite Shoes: Kate Spade Beatriz Sandals. I have been trying to stick to whites and denims all summer so having a pop of color is pretty. These would be fun with an all white outfit. Favorite Look Lately: Pink Lips + Whites -via Shay Mitchell. Like I said above, reaching for whites this summer has made my life so much easier, but I still need a pop of color, and you all know I love a bright lip. 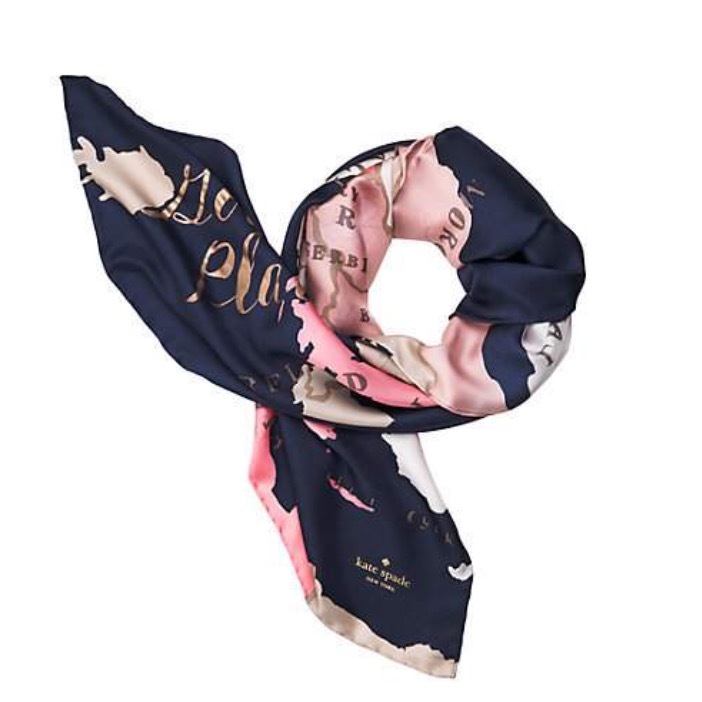 Favorite Accessory: Kate Spade Going Places Square Scarf. This would be cute wrapped around the wrist, on your purse, neck, head...okay I just like it. It is elegant and again will add some color. 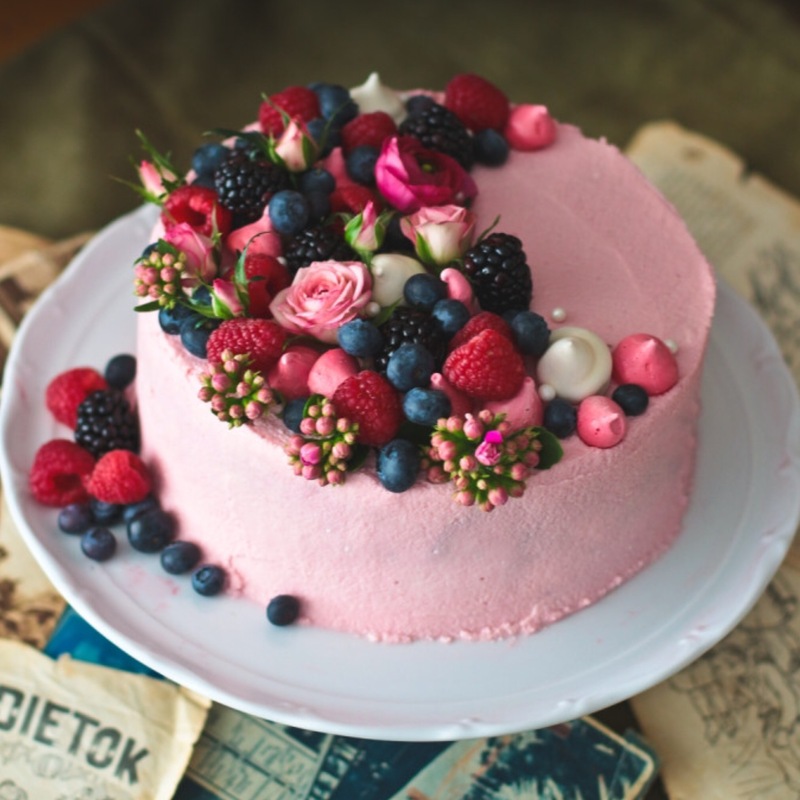 Favorite Dessert: Chocolate Berry Cake via The Story of Cake. My friend Carrie is an amazing baker, and it is her fault I find myself browsing baked goods. Isn't this cake beautiful? And it has raspberries which are my favorite. Favorite Song of the Week: Hands to Myself by Selena Gomez...darn catchy song! Ha!